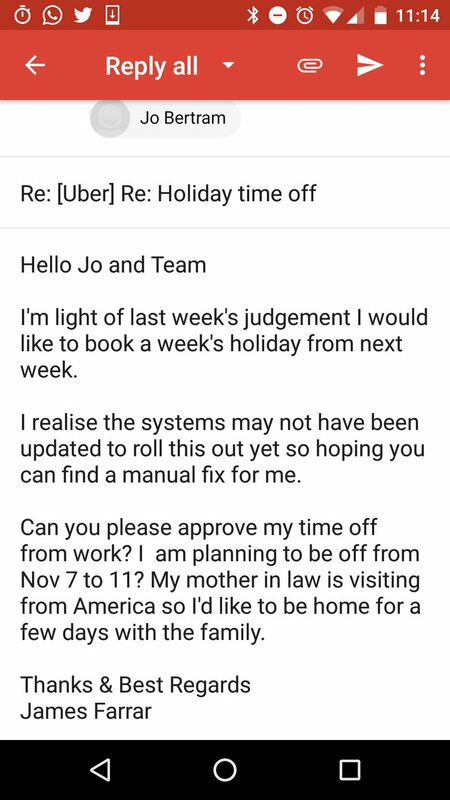 A driver who won an employment case against Uber had his request for holiday rejected. James Farrar argued he was entitled to basic workers' rights such as holiday pay and national minimum wage. The ruling could bring sweeping changes affecting thousands of workers. 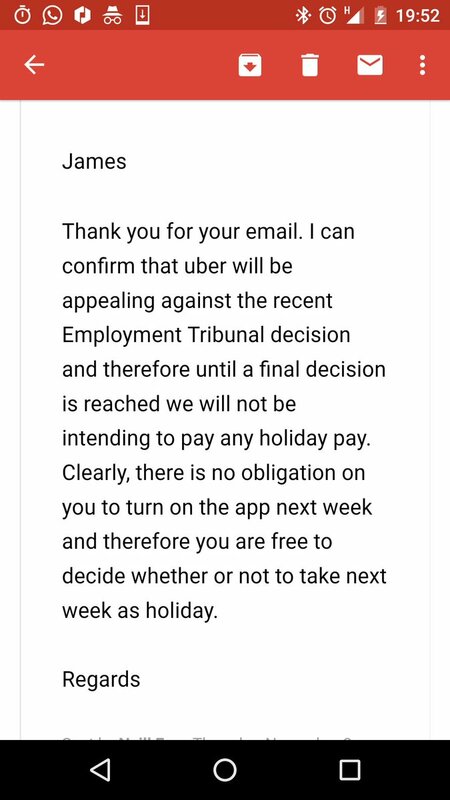 However Uber hit out at the decision and said it planned to appeal. It means James Farrar's hopes of a paid holiday have been put on hold.